Science! Hey, if you're all about Star Trek, you know that Science is the department to be in if you're serving on the USS Enterprise. 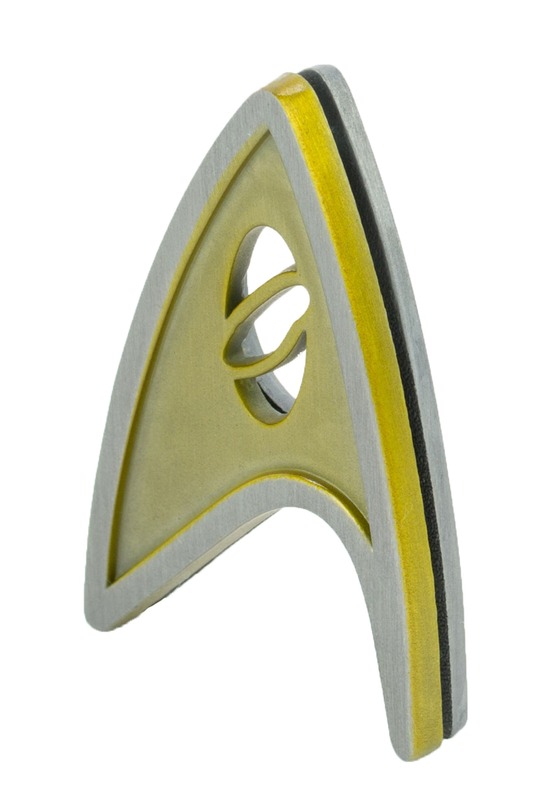 And, luckily for you, this licensed Star Trek Beyond Science insignia badge is ready to give you just the gear you need to take up residence on the sweetest ship in the fleet! You do want to serve with Captain Kirk and Commander Spock, right? 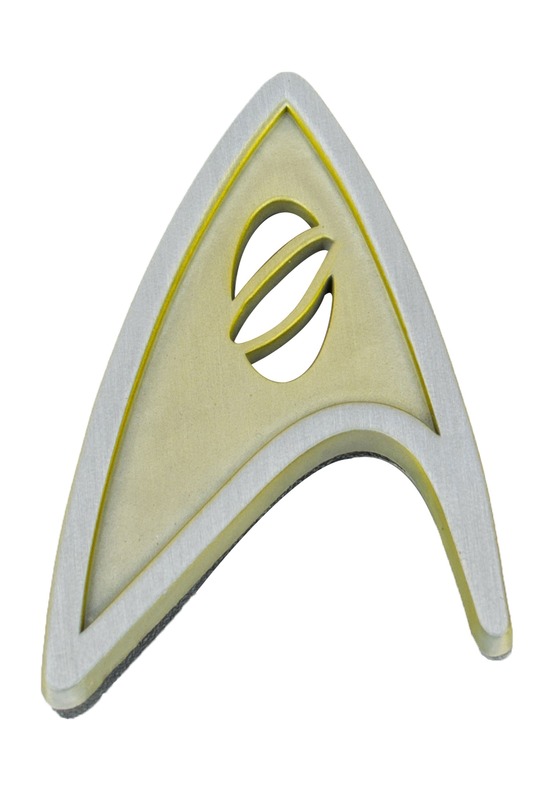 Yes, science is the track for you, you're going to want to serve onboard the Enterprise, right alongside Spock when you pick up this slick Science Insignia Badge. Provided, of course, that you add it to your authentic Star Trek costume! And guess what? We sell those too! 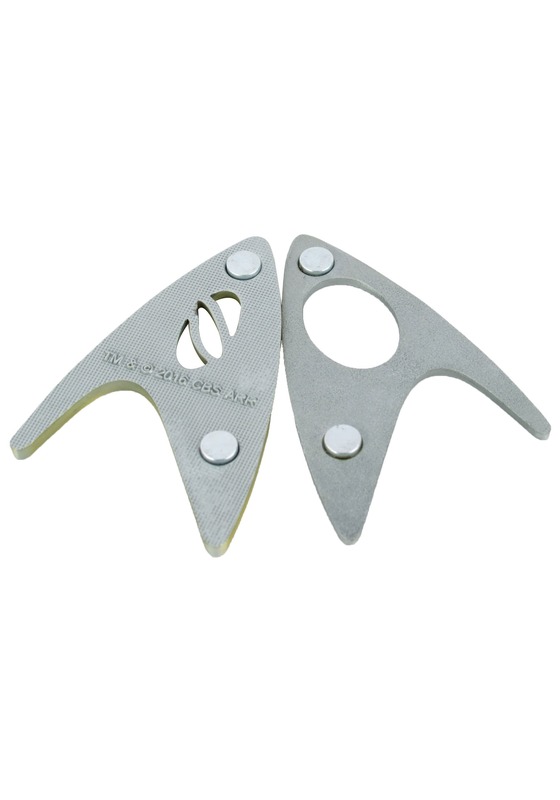 This collectible badge is a screen accurate replica, and secures on any shirt with magnetic force. It's officially licensed from Star Trek Beyond, and the perfect way to get yourself into the action-packed Kelvin Timeline of the Star Trek universe!